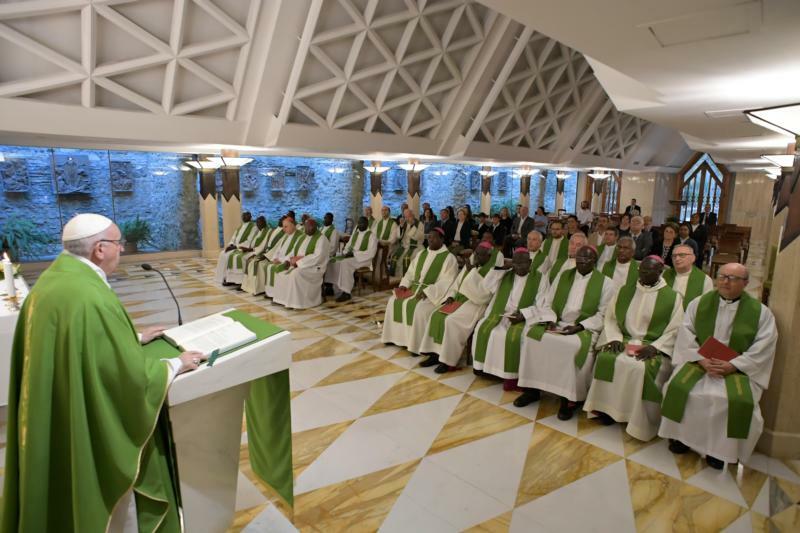 VATICAN CITY (CNS) — Christians must engage in spiritual combat every day against a worldly spirit that leads down a path of arrogance and petty gossip, Pope Francis said. “We all have what we can call these two ‘spirits’: The spirit of God that leads us to do good deeds, to charity, to brotherhood, to adore God, to know Jesus, to do many works of charity, to pray; and another, which is the spirit of the world that leads us to vanity, pride, arrogance, gossip — an entirely different path,” he said. God’s spirit is a “great gift,” the pope said, and the only way to protect it and “drive away the spirit of the world” is by doing a daily examination of conscience.